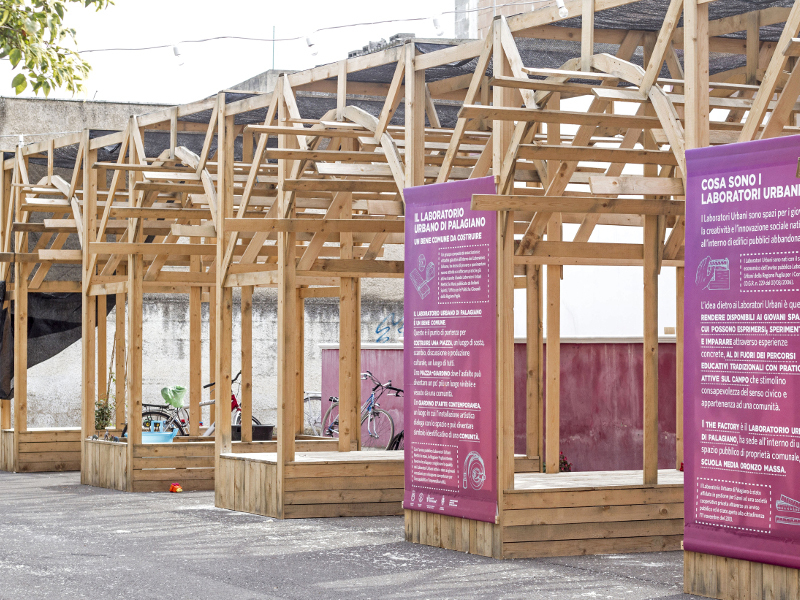 Opening and activation of the community center Laboratorio Urbano Palagiano. 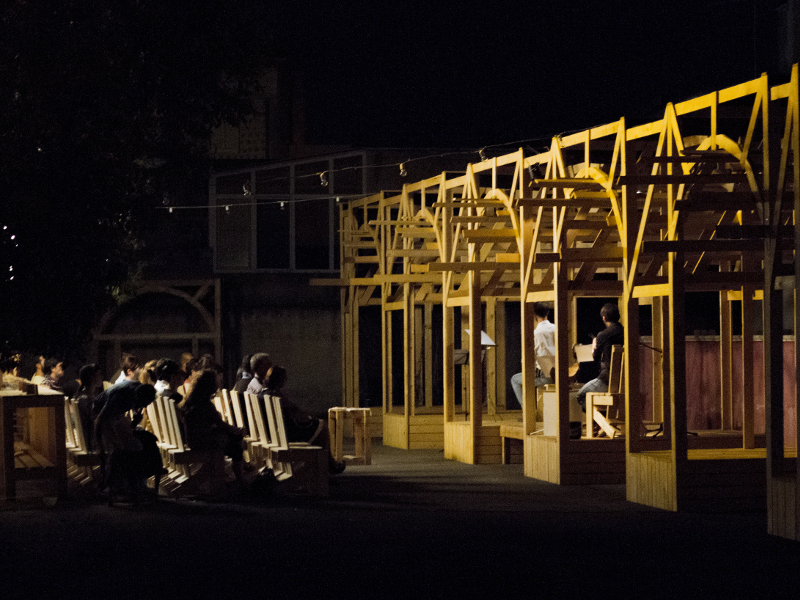 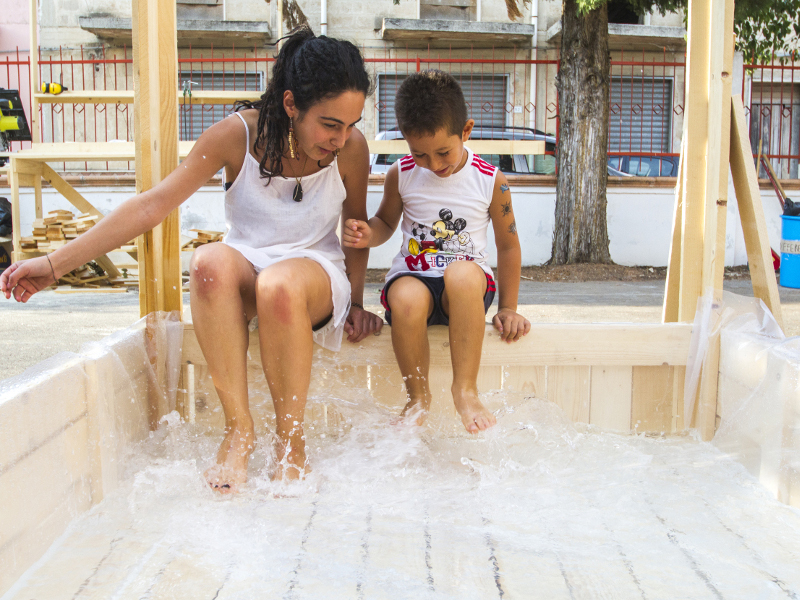 The first part of the project in August 2015 was the collective construction of a structure for the space in front of the building, that would transform the unused area into a public square, providing shade for people to gather, possibilities for events and performances, and creating a new inviting facade for the center. 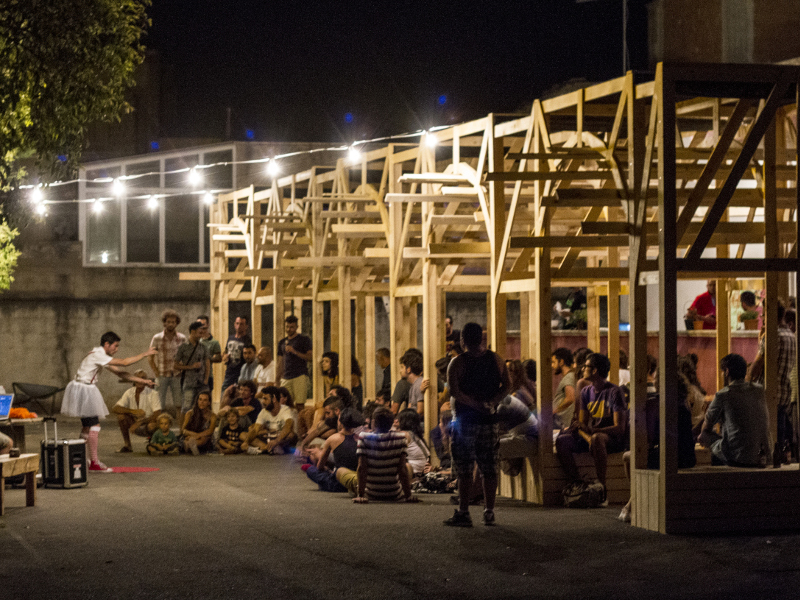 Designing and building together had the intention to transfer skills and knowledge to the new founded community’s carpentry workshop ‘mezza sega’ that is situated there. 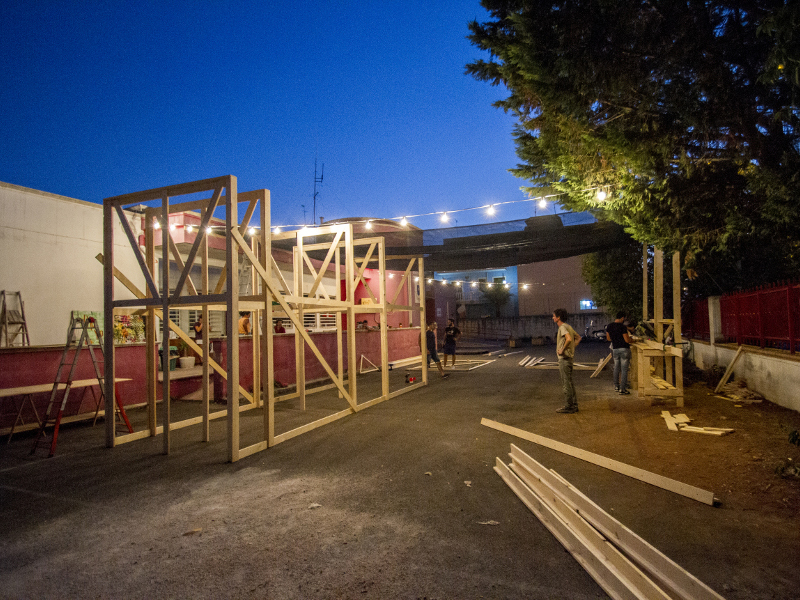 The second part in October 2015 focused on the interior spaces of the Laboratorio Urbano, providing a proper workshop, a central space for events and exhibitions and building prototypes of easy to make furnitures to be produced by the community in the workshop. 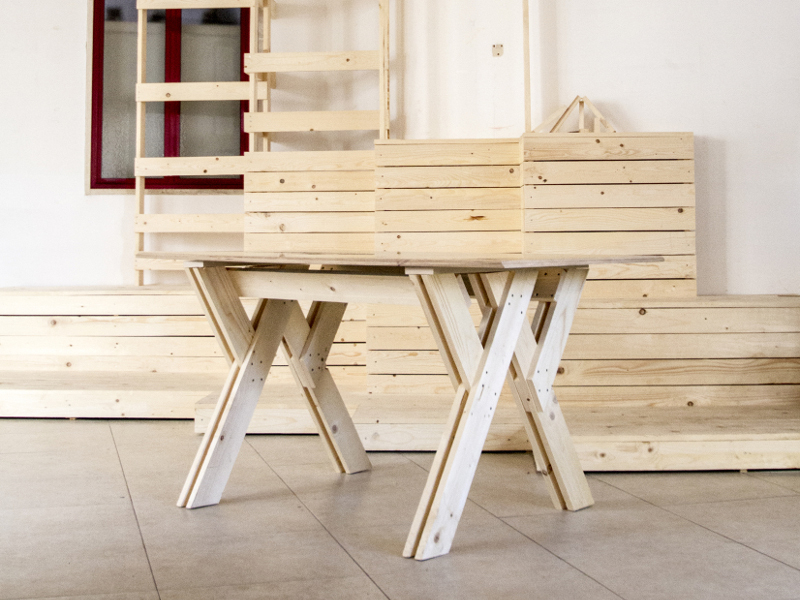 Laboratorio Urbano Palagiano became a space where young or unemployed people could go and test their professional skills, exchange knowledge, that would help in a future employment.